Before seeing Citizen Kane, I did not understand what all of the noise was about. A significant portion of older films received a load of recognition close to the ‘dawn of film’. However, since Citizen Kane is heralded as one of the best films ever made, I could not judge a book by its cover, or in this case, by the film’s name or poster image. Citizen Kane was released in 1941, many years after film’s inception, leaving more reason to trust the credibility of many scholars who judge this movie as a major achievement in film history for the production techniques used as well as the story-line. So, who is Citizen Kane? Who is Charles Foster Kane and what is the meaning of the word Rosebud? Kane is a man who was sold to a rich man by his poor family. Further down the line, he becomes the owner of a newspaper and creates his own news, among many other things. Kane has a good amount of time wrapping up his image with a nice neat bow until a competing paper divulges a cheating scandal with another woman. 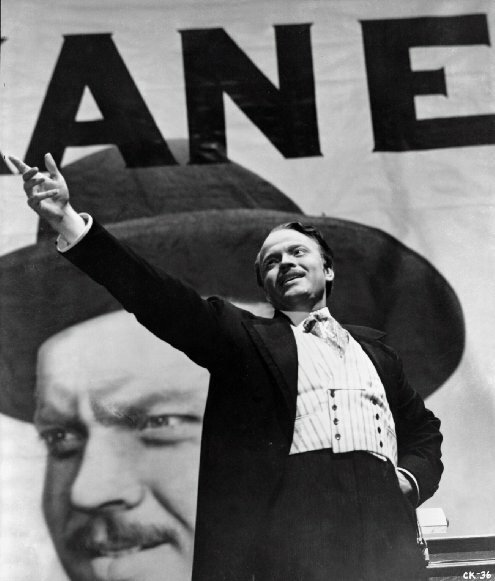 Kane is played by the genius himself, Orson Welles, who unfortunately did not receive much critical acclaim beyond discussions related to Citizen Kane. Kane’s character is based on WR Hearst. But the character of Kane is an enigma by himself. It would be hard to describe him any other way than to say the man that everyone wants to be friends with. But to love? Perhaps not. He has everything he could ever want — it seems. Except the thing he wanted the most as a child: Rosebud, a snow sled. And theoretically: Pure joy. When he was sold by his original parents to his rich guardian, he lost that childish but also a very important sense of love and joy. The person who obviously changed his life, some could say for the better, lacked the love of a mother or father. Technically, he received all of the physical things he wished for. But not love. Which is why his relationships with women fail and his life end in lonesome. I think anyone who comes from an atypical home can relate to the less than spectacular feeling that encompasses Kane. He constantly reached for love and admiration from outside forces, girls dancing around him, the crowd cheering during his political speeches about the common man (though he was far from common with his rich father/guardian) even when he truly did not know what love meant because he did not experience love since his childhood. It can be argued that Kane never did experience love, because his family gave him away for money. Sure, it made his life better financially. But when someone’s dying words are the name of an old sled: You can get the feeling that he truly did not experience much joy. To me, the sled also symbolizes joy and the simplest forms of love. If you experience all of these things often, consider yourself lucky. 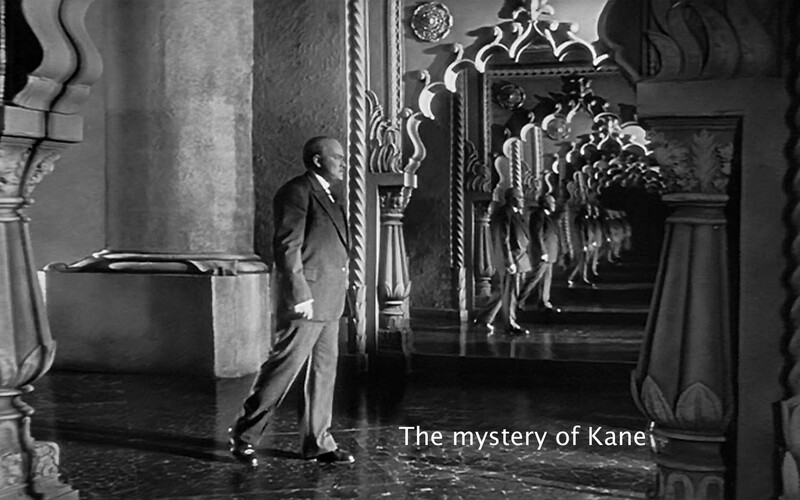 If you have not seen Citizen Kane, check out the marvel that it truly is.